Miami, FL–(EmergingGrowth.com NewsWire – August 16, 2018) – EmergingGrowth.com, a leading independent small cap media portal with an extensive history of providing unparalleled content for the Emerging Growth markets and companies, reports infomration on Halitron, Inc.’s (OTC Pink: HAON) shareholder conference call today. Halitron, Inc. (HAON) 2nd Quarter Shareholder conference call with Q & A. Bernard Findley, CEO of Halitron Inc. will be presenting and will respond to questions directly from shareholders that have been emailed or texted through the WeConvene platform. 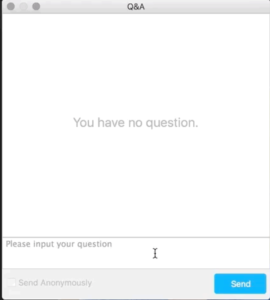 The Q&A window allows you to ask questions to the host and panelists. 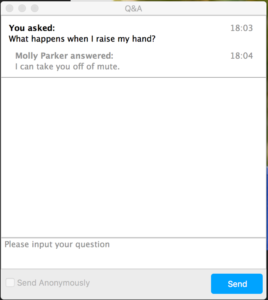 They can either reply to you via text in the Q&A window or answer your question live. Click Q&Ato open the Q&A window. You can move this window around your screen.